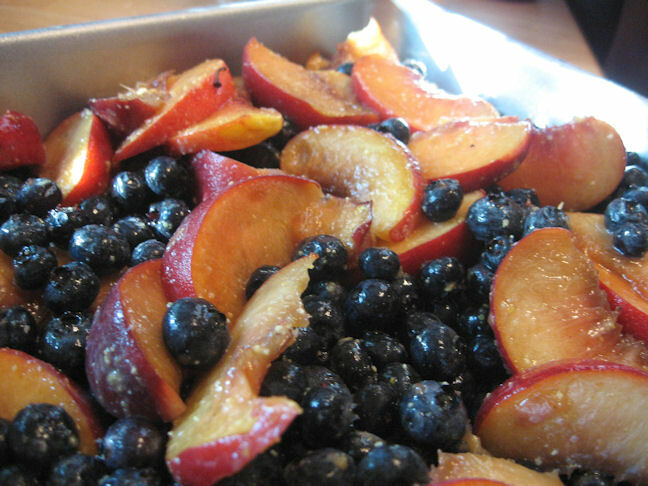 Foodalution: Blueberry Peach Cornmeal Cobbler.... The 13 year old Bakes! Your daughter is too cute! 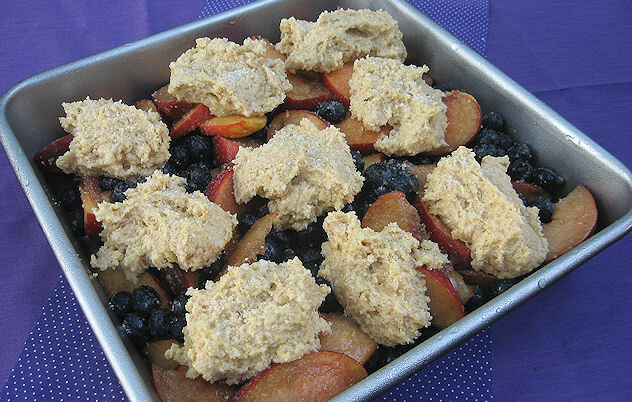 And she did such a great job, that cobbler looks so good, i love me some cornmeal and that recipe looks easily gluten-free adaptable. It always feels fabulous when the kids help out with the cooking/baking. But then she's doing it herself this time, joy is even greater. Awesome cobbler! Tell your daughter she did a great job! Love the peach/blueberry combo. Yum! Too cute daughter and too cute cobbler! Love the cobbler and the pictures. Raising a future foodie! I started baking with my granddaughter when she was around two, even if it was just pressing down the cookie cutter on cut out cookies. 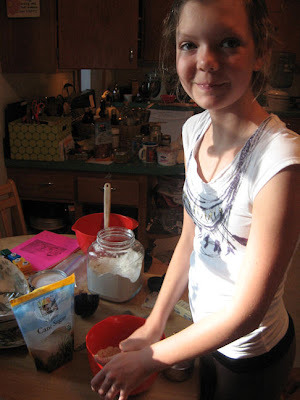 By three she was cracking eggs, and by four she could make chocolate chip cookies. Looks great! Tell your daughter she did a fantastic job on the cobbler! Love it!!! Great job to the daughter of a well-deserving woman. 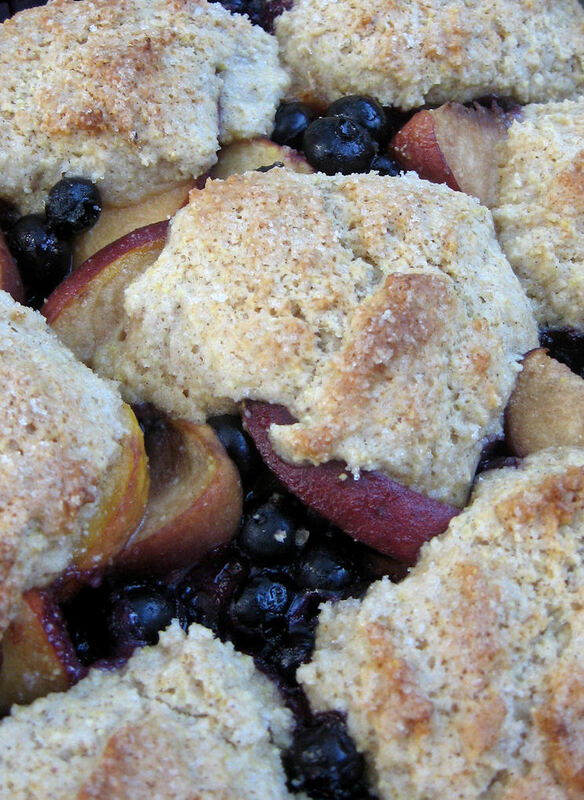 Oh Megan, the cobbler looks fantastic! I'm so proud your girl and she really did a pretty good job here. I love when she said "stop helping her!"! haha.... So Megan, please just leave her alone. Ok! haha.... Hope you're enjoying your day.